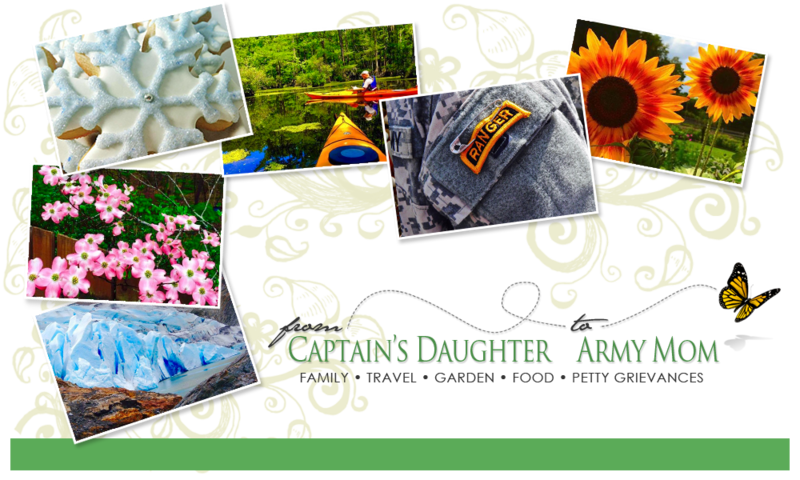 From Captain's Daughter to Army Mom: A little Kitchen time! 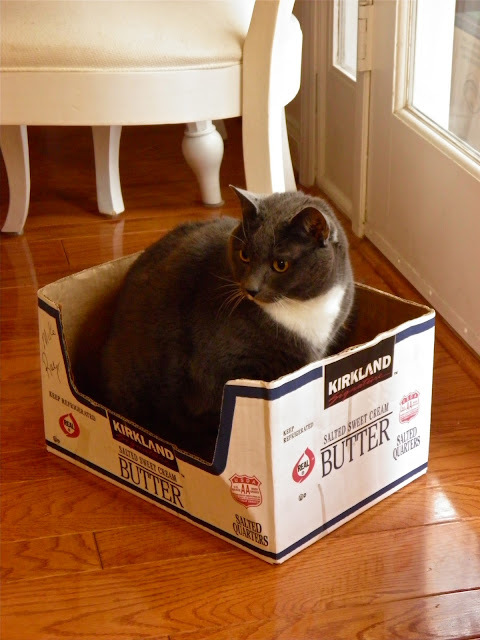 I went into this weekend looking forward to a little kitchen time! 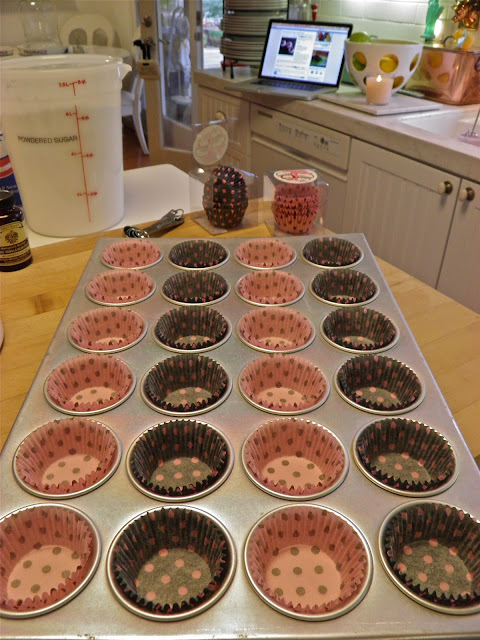 There was no stopping me and no more excuses not to get my bake-on! cake and cupcakes is how much better it makes them taste! Trust me... Get some! But fortunately for me, I stocked waaaaaay up during our last trip! 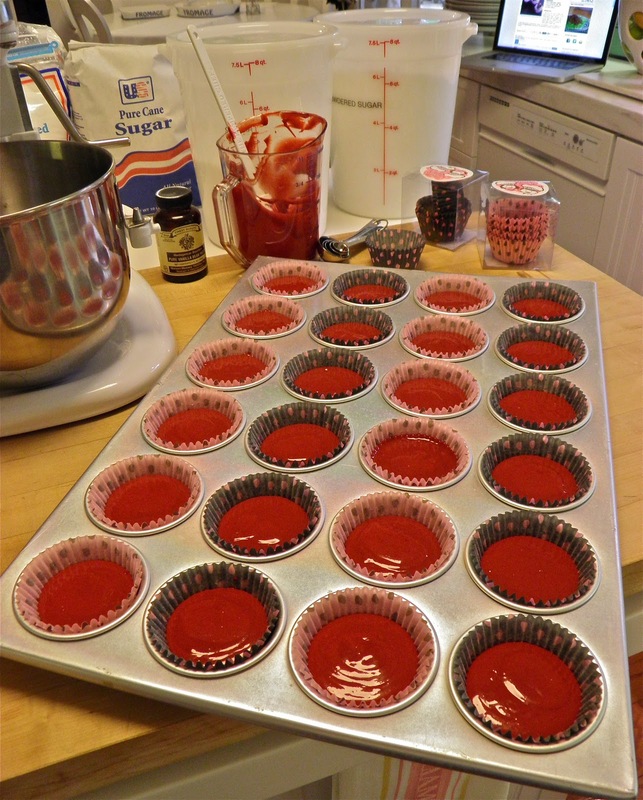 So let's bake some red velvet cupcakes! 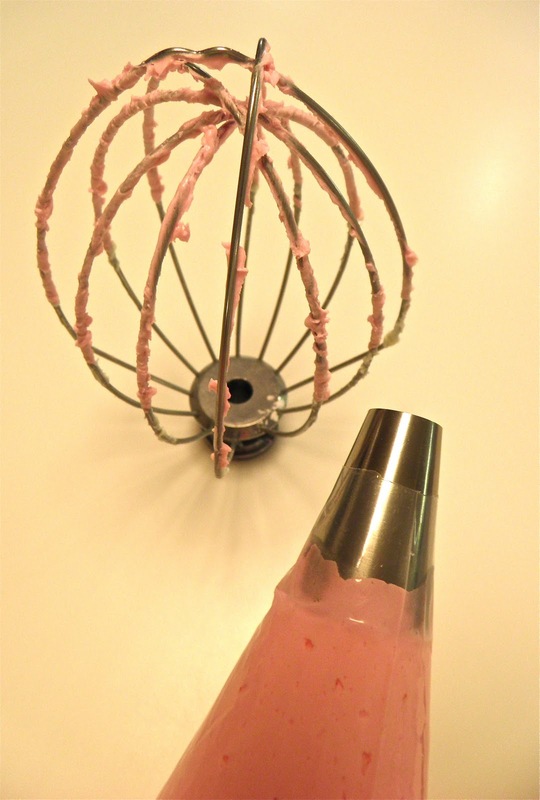 a whole lot less messy than dipping it with an ice cream scoop! 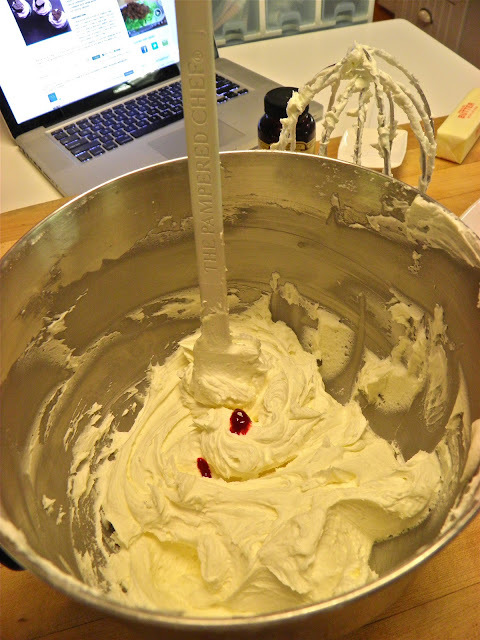 Red velvet cake batter always looks like ketchup to me! I know... It's just me! But if I dumped it, I wouldn't have this last, perfect cupcake! 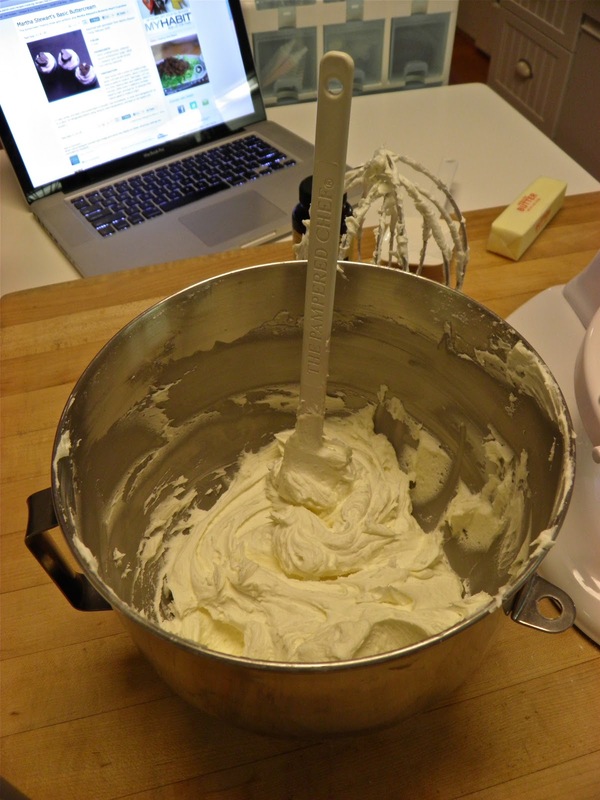 time to whip up some of Martha's Buttercream Frosting... It's so good! 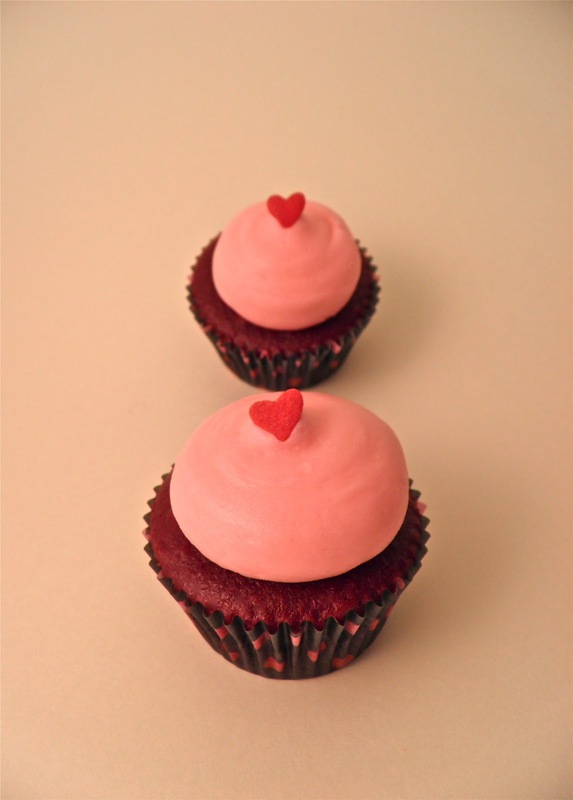 Being so close to Valentine's Day, I think a little pink might be in order! 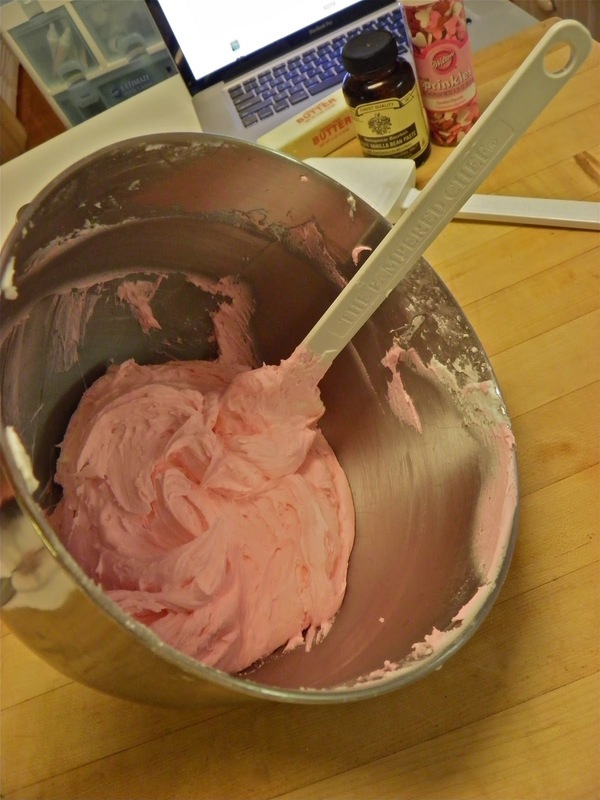 For perfect pale pink buttercream! 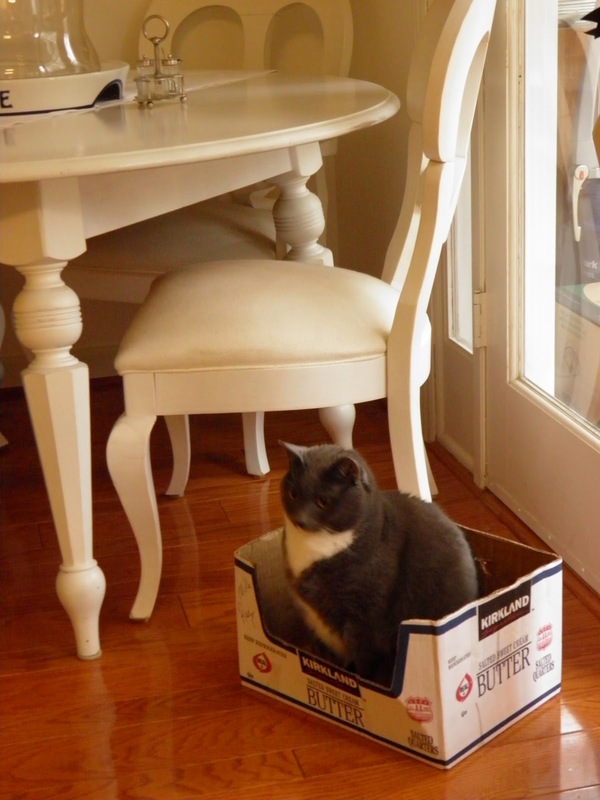 up a box for herself, I asked her to pick up another three boxes for me! especially difficult to clean out of those reusable decorating bags! And, I am all about the easy clean-up! I'm also all about this decorating tip! staring at me for a while now... Do you want to know why? 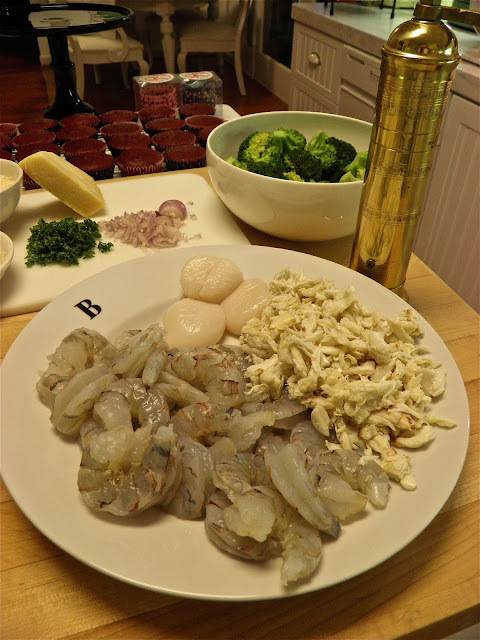 Because I hit pause on the cupcakes and have started my dinner prep! 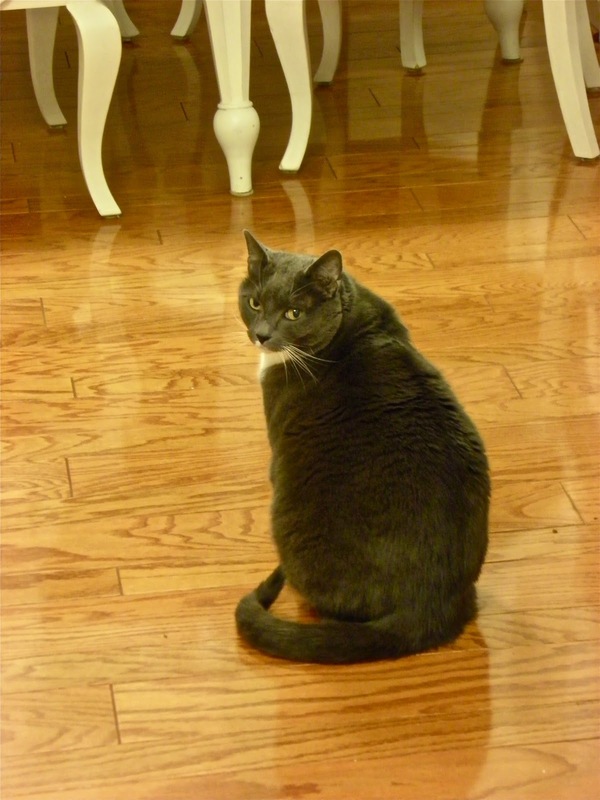 And, Bing can smell seafood a mile away! 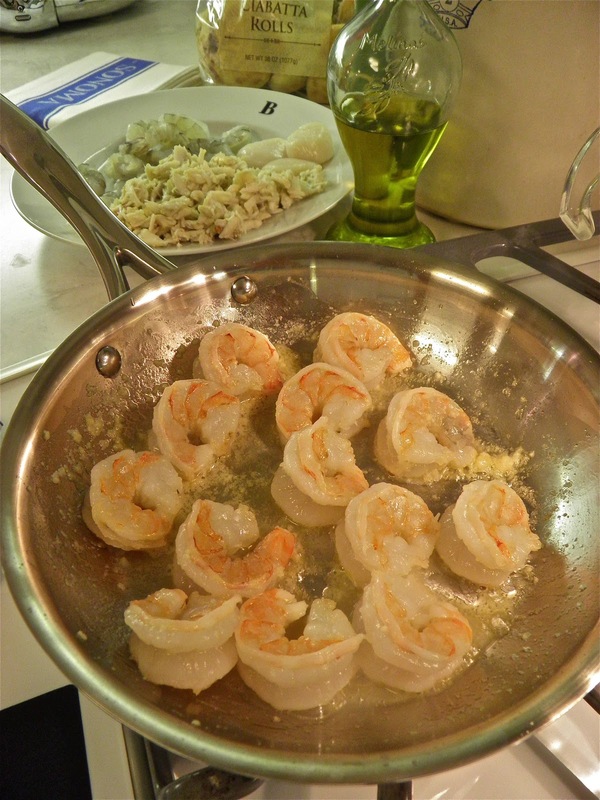 Tiger prawns, lump crab and scallops are on the menu tonight! 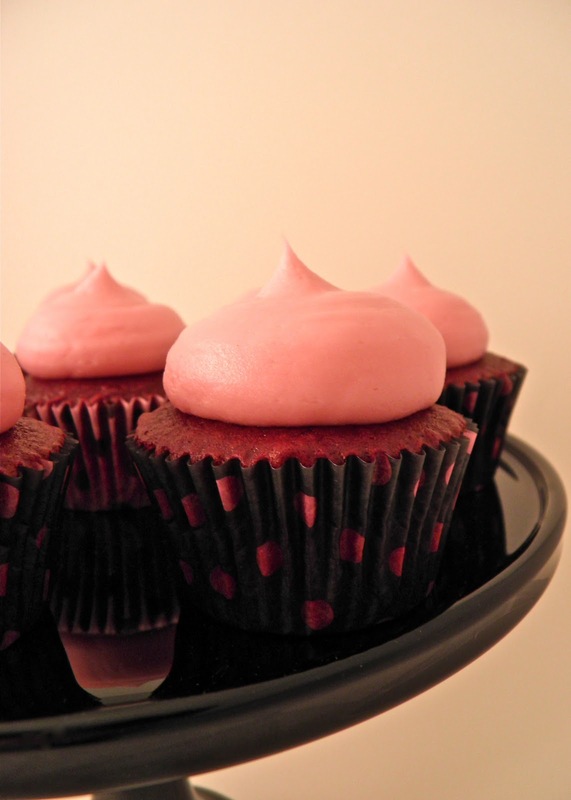 And... Cupcakes for dessert, of course! One for you... One for me! disappeared. I like the way it diffuses light to eliminate shadows too! Now... Go, and have yourself a Happy week! Yummy! 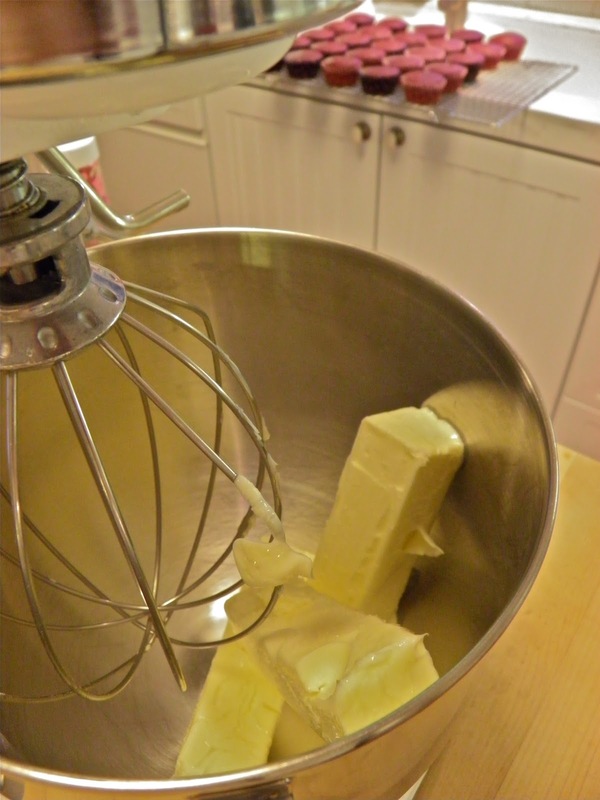 I have thought about getting the spatula mixer attachment. 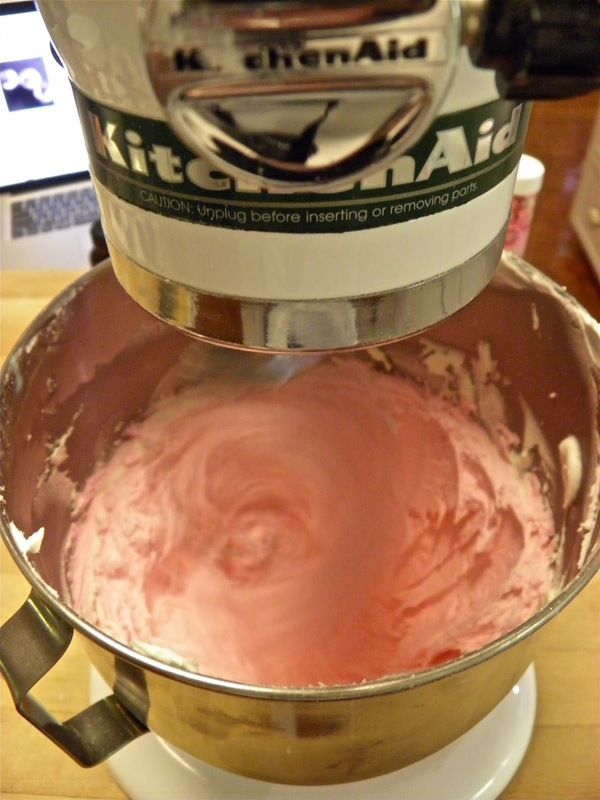 My mixer looks just like yours. When do you prefer it over the regular paddle? What about the pour spout? I don't have one of those yet either! Love the photos. Now I want a photo tent too! Where did you find yours? Don't you just love all the questions? Haha. Oh and the at in the box makes me laugh! 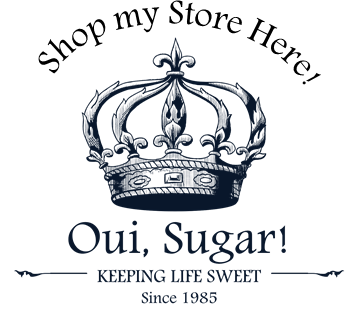 King Arthur Flour is my go-to bakery supply site! 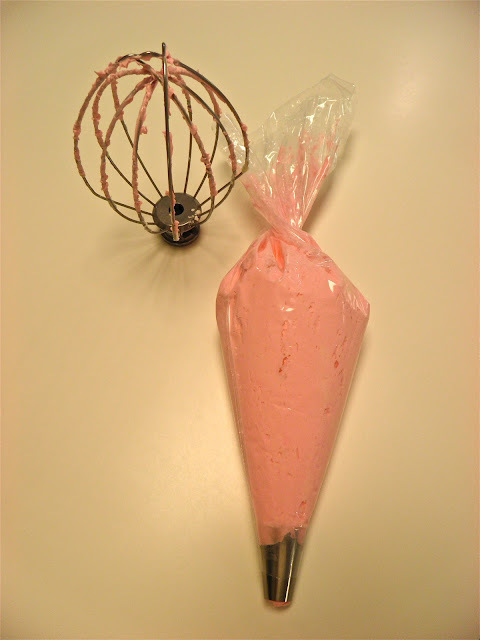 Another of my new favorites is the Princess flavoring; makes my cakes taste like they're fresh from a bakery. I love it! You are amazing!! 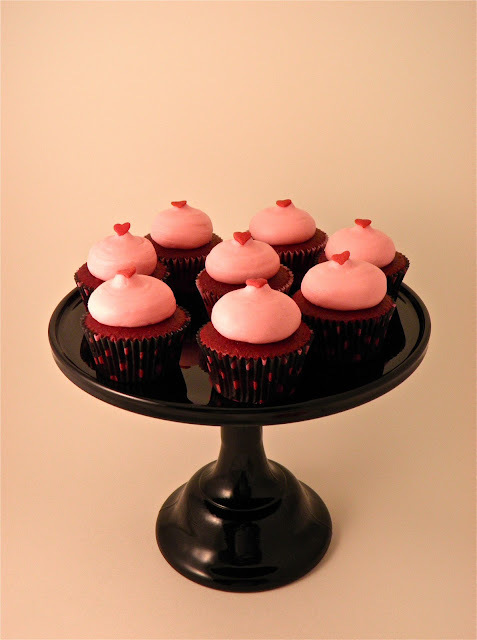 These cupcakes are beautiful and I am sure they will be scrumptious for all lucky enough to sink their teeth into them! What number tip is that for the frosting? It looks like the Wilton 1A but could be wrong... Even bigger, right? Glad to see you having fun in the kitchen over the weekend. Your cupcakes look wonderful. I can't believe I'm going to write this but I have never yet made a nor had a red velvet cupcake or piece of cake for that matter. You are taking some great photos using your table top lighting tent. Bing is too cute! 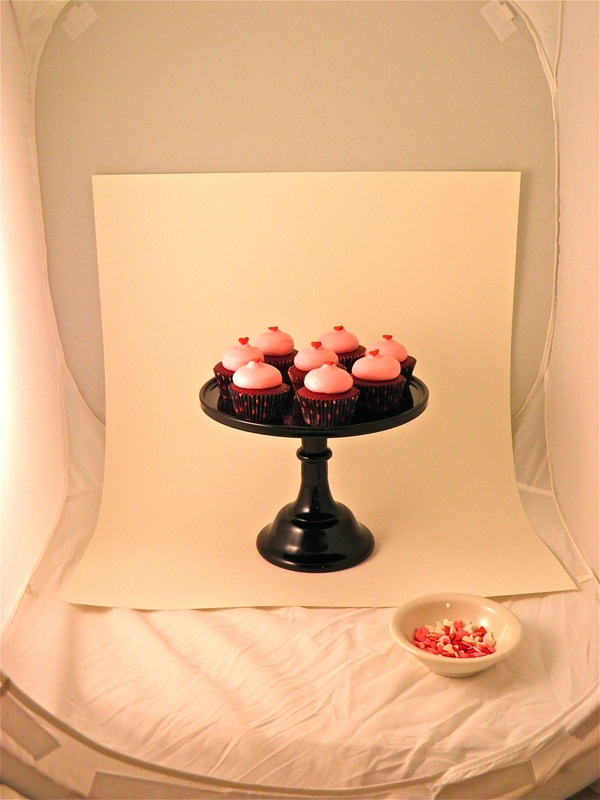 The cupcakes look delicious..your photos always look great, but the new photography booth really polishes them off! Hope to see more pics of Bing and Leo soon..they are both beautiful cats! 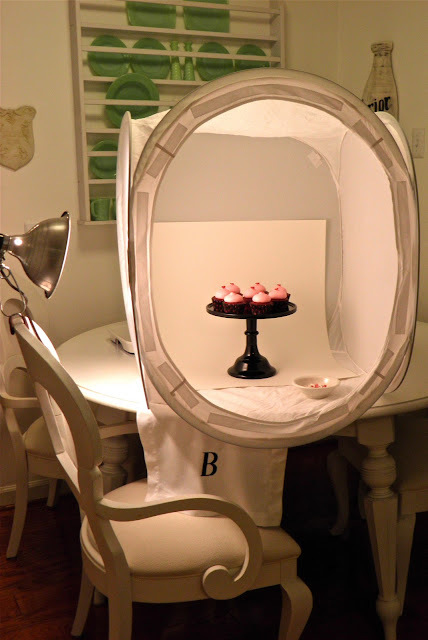 Bing~cupcake liners~cake enhancers~seafood~white tents for photographing after dark! I wanna come spend a week with YOU! And watch you do everything. Your RV cupcakes look delish...Can you share your recipe for them? Also, does your SSS have an outlet in MN? Please say YES! Doreen, thank you! 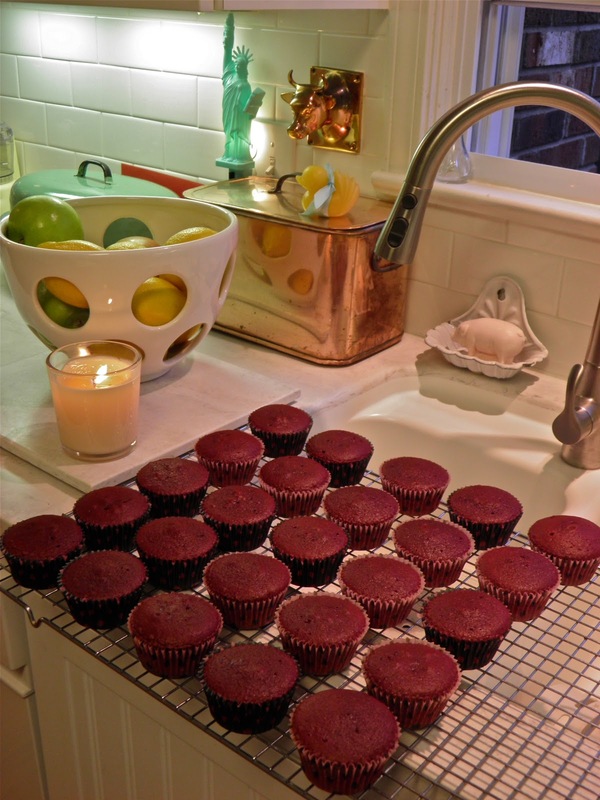 But honestly, my red velvet cupcakes were made with the help of Duncan Hines with King Arthur Flour's cake enhancer. It makes even box mixes taste like made-from-scratch. 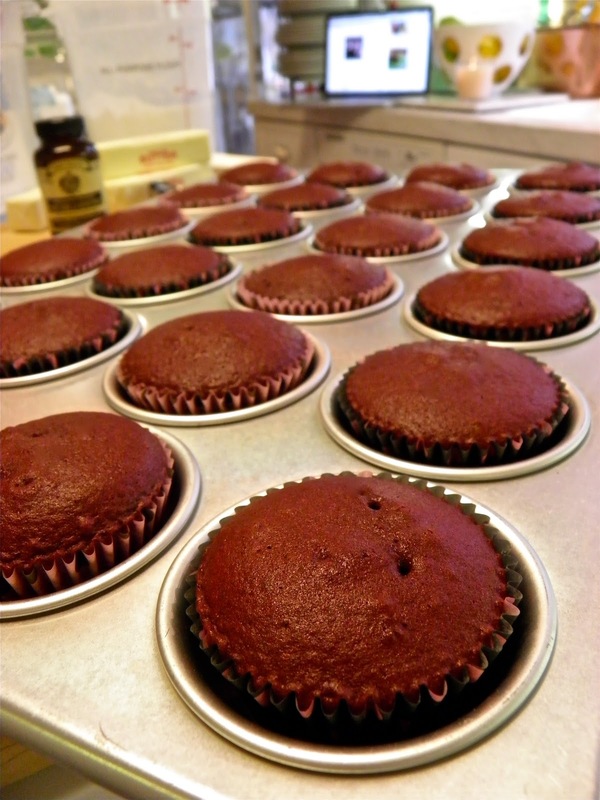 I took these cupcakes to work and EVERYONE wanted to know my recipe... Duncan Hines. 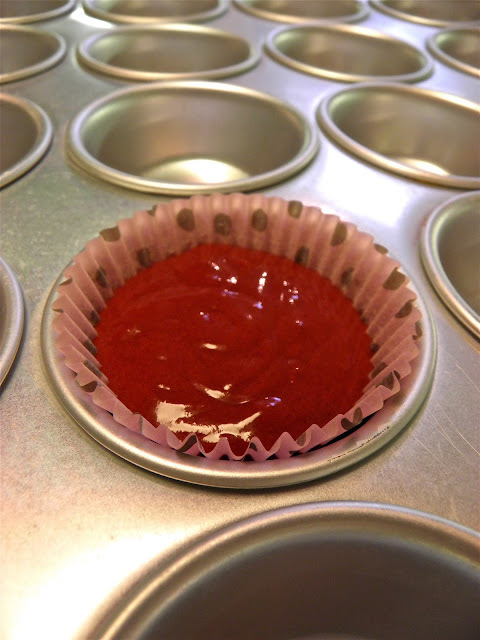 Just don't forget the KAF cake enhancer! ;) Thank you for reading along and for your kind words! 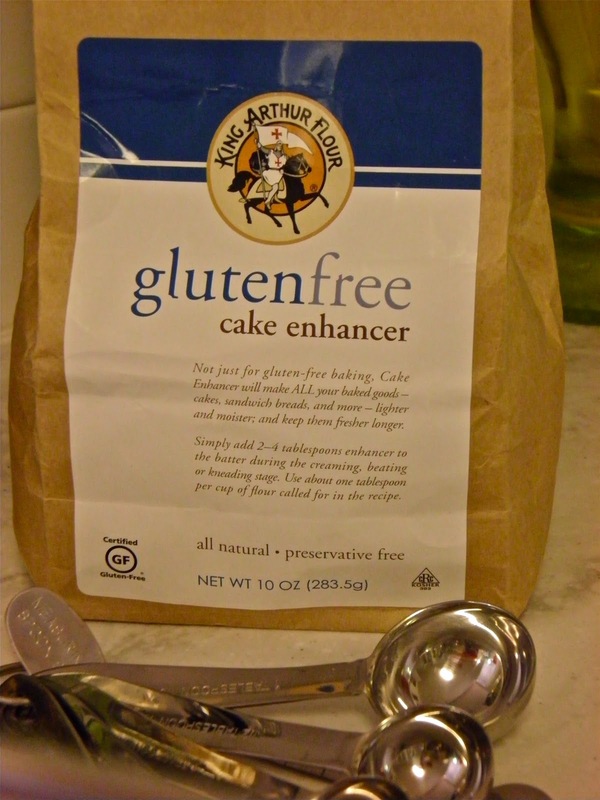 Doreen - No, you won't find the cake enhancer in grocery stores. You can call KAF customer service to ask them; however, I believe this is a catalog/internet item only outside of their retail store in Vermont. I am not aware of any SSS in MN. What I suggest to everyone that asks me is to Google "salvage discount" with your city or town to see if anything pops up. I've heard from a lot of my readers that they've found similar stores in their area. :) Good Luck!